Burning permits are available from the Greater Sudbury Fire Station, Van Horne Street, Sudbury at no charge. Burning Permits are issued for a seven day period. Burning is allowed only between the hours of 8 P.M. and 8 A.M.
i) Class "A" permits are for a fire no more than 1 x 1 metre in size and is issued for the burning of small amounts of raked grass, leaves and small amounts of wood (No construction material or garbage is to be burned). ii) Class "B" permits are for a fire no more than 3 x 3 metres in size and must be obtained from the Fire Chief or an Assistant Fire Chief. iii) Class "C" permits are for special burning, which requires an inspection of the burn site before a permit is issued. A written request must be submitted to the City of Greater Sudbury Fire Services, 3400 Hwy. 144, Chelmsford, POM ILO, two weeks in advance before approval is given. unattended until it is fully extinguished. Burning during high wind conditions should be avoided to reduce any chance of fire spread. declare a FIRE BAN or FIRE RESTRICTION, the permit will become void at the time of the declaration. The Chief Fire Official or his Designate can declare permits void. Burning By-Law available from the City Clerk's Office at Tom Davies Square. 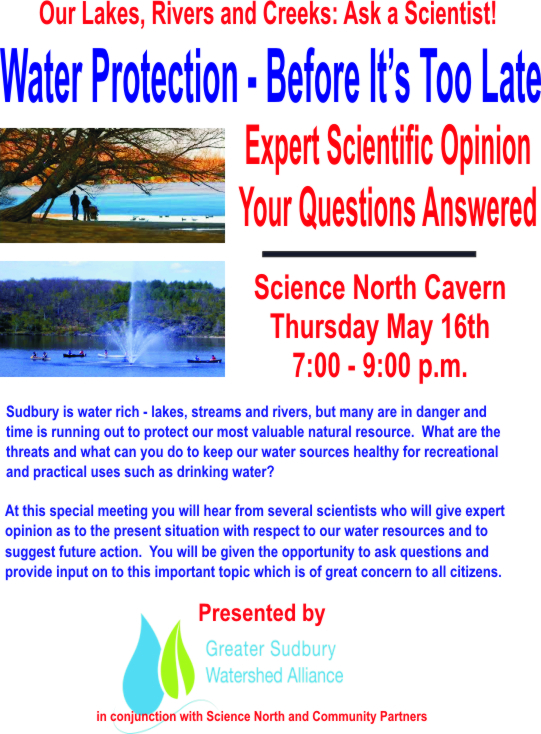 Thanks to Norm Buchy, Assistant Fire Chief, City of Greater Sudbury Fire Services, for providing this information.